STOPPED: Workers leave the buses. 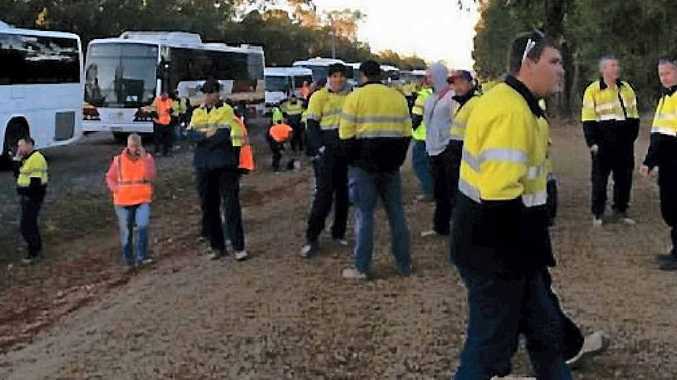 WORKERS caused havoc for passengers in at least 15 buses that were made to stop before the CFMEU picket line at the APLNG wharf on Landing Rd in Gladstone on Thursday. The workers described being stuck on the buses for two hours after the drivers refused to let them off, with some reported as having anxiety attacks and another wetting his pants. They were eventually let off the buses for 20 minutes, with some choosing to go on to work. Others reported they didn't feel it was safe to cross the picket line, which is in line with Fair Work Australia laws. 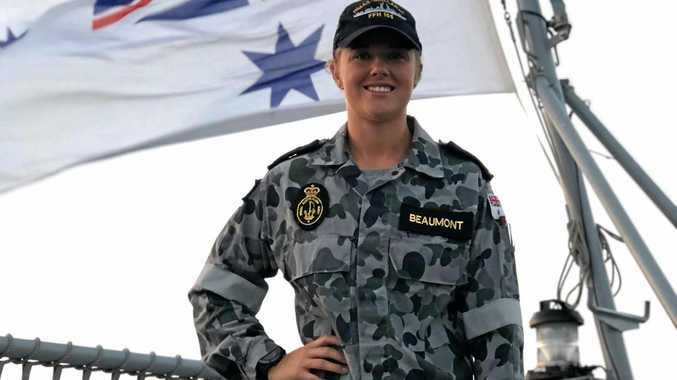 The CFMEU action was part of ongoing industrial action to push for a change in work rosters on Curtis Island from four weeks on, one week off to three on, one off.